The ultimate space efficient solution. 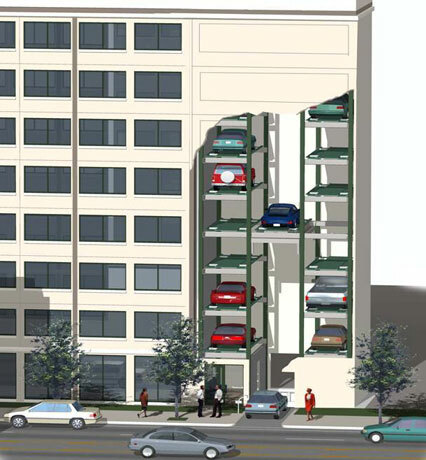 A fast, very flexible automated parking system for small applications with a need for 10—30 cars / module (with the capability of building modules adjacent to add more cars) and fits on sites with dimensions as small as: 21’ x 25 ’ to 21’ x 50’ OR 25' X 42' (with capability to fit designs on various multiples of these dimensions) with a height of 45’ — 120’. 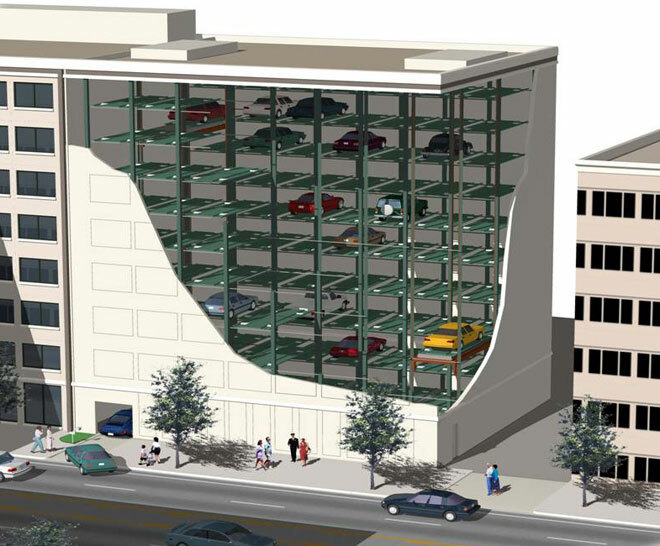 It is ideally suited for condominium, apartment, hotel, small office building development projects where land is very limited (and expensive) and a large part of the success of the project is dependent upon the capability to fill the parking requirements, which can’t be easily met with a conventional garage. The RPS 20 series in these cases is a developer’s dream!